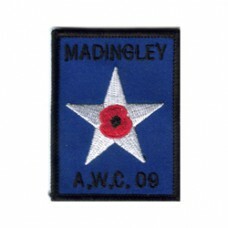 This is the original American War Cemetery ride patch for 2009. The design theme of the original pat.. 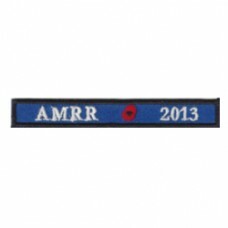 The AMRR '2010 Year Rocker' has been designed to match the "Main Patch" with its white writing on bl.. 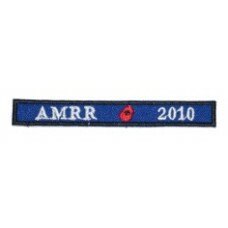 The AMRR '2011 Year Rocker' has been designed to match the "Main Patch" with its white writing on bl.. 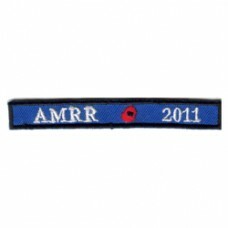 The AMRR '2012 Year Rocker' has been designed to match the "Main Patch" with its white writing on bl.. The AMRR '2013 Year Rocker' has been designed to match the "Main Patch" with its white writing on bl.. The AMRR '2014 Year Rocker' has been designed to match the "Main Patch" with its white writing on bl.. The AMRR '2015 Year Rocker' has been designed to match the "Main Patch" with its white writing on bl.. The AMRR '2016 Year Rocker' has been designed to match the "Main Patch" with its white writing on bl.. The AMRR '2017 Year Rocker' has been designed to match the "Main Patch" with its white writing on bl.. The AMRR '2018 Year Rocker' has been designed to match the "Main Patch" with its white writing on bl..